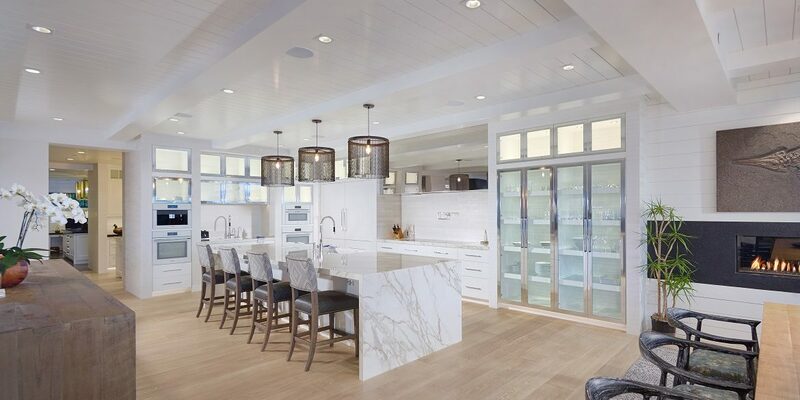 Designed by renowned architect Robert Sinclair, built by Patterson Custom Homes and finished by Blackband Design, this bayfront masterpiece boasts innovative design, quality construction and luxurious amenities inside and out. 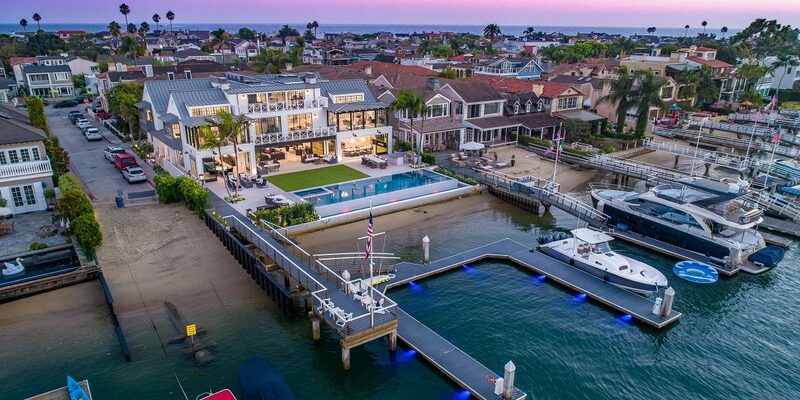 Nestled between the beach and the bay in highly sought-after Balboa Peninsula Point, the property spans three lots with approximately 90 feet of frontage. 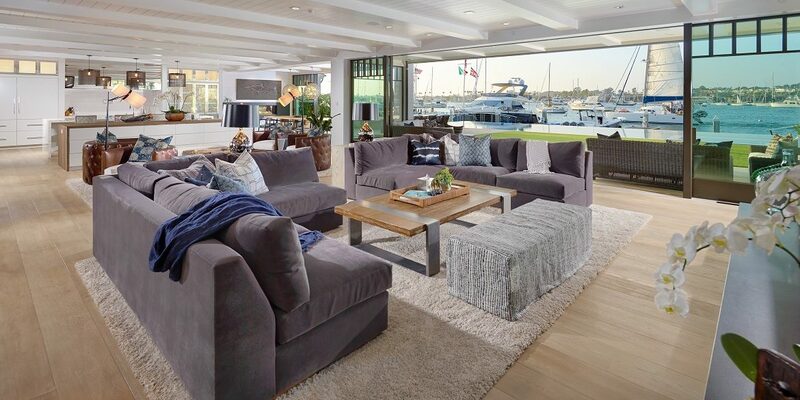 Riviera Bronze floor-to-ceiling windows and doors throughout the home offer panoramic views of the bay, harbor and surrounding area and seamlessly blend the sophisticated indoor and outdoor living spaces. 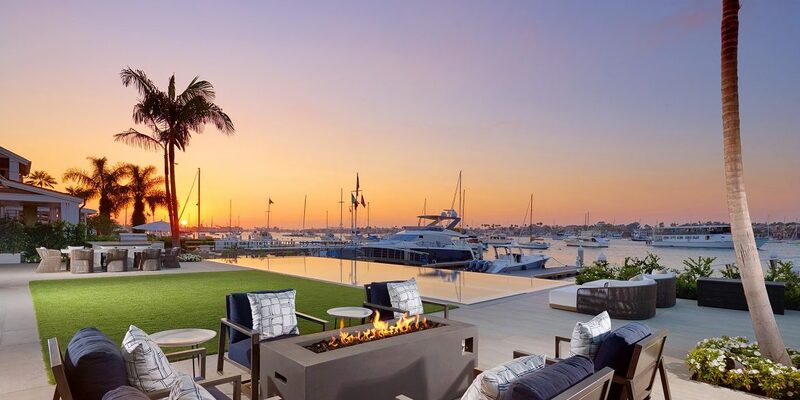 The picturesque backyard includes a new dock that can accommodate at least four vessels, a 57-foot-long saltwater infinity pool with underwater speakers, a cooking area, a private bay beach that is present at most tides and a fire pit. Multiple covered and open seating areas are ideal for intimate gatherings or large-scale entertaining. 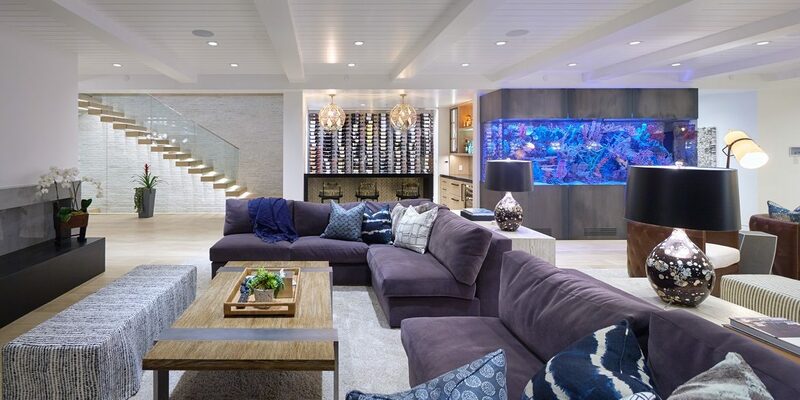 Inside, you’ll find meticulous attention to every finish and detail as well as such striking design elements as precision millwork, a floating underlit staircase beneath an oversized skylight, fireplace within a 16-foot stone hearth and mantle, and an eye-catching 1,100-gallon aquarium. 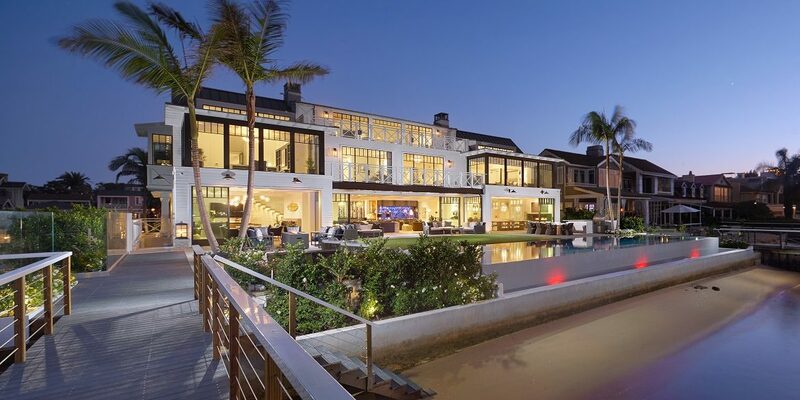 Encompassing approximately 12,710 square feet, the residence features wood, stone and concrete flooring, beamed ceilings, two gourmet kitchens, two game rooms, two bars, two staircases, an executive office, craft room, wine cellar, theater, gym and large mudroom. 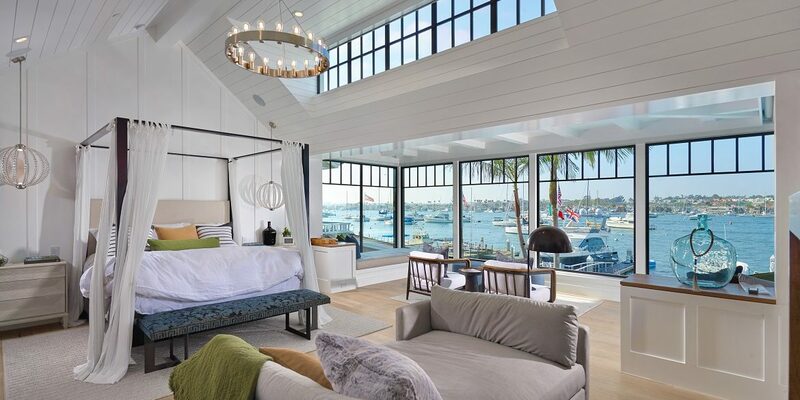 Upstairs, a fabulous master suite offers walls of windows with breathtaking water views, a sitting area that opens to an expansive balcony and a sumptuous bathroom with a soaking tub, sauna and glass-enclosed shower. State-of-the-art technology runs the entire home, including whole-house automation and security with surveillance. There are also six HVAC compressors and 16-kilowatt Panasonic solar panels that can perpetually power the home’s key elements during a power outage. Other highlights include a four-stop glass elevator and five-car garage with electrical vehicle plug-ins and three Tesla solar batteries. 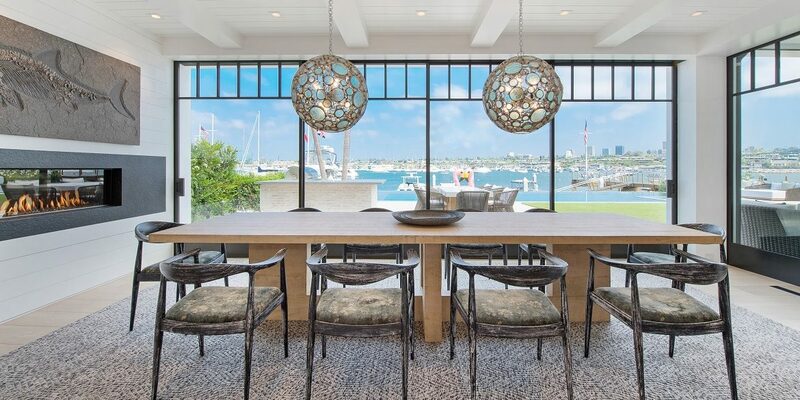 Enjoy an unparalleled living experience in one of the most sought-after waterfront neighborhoods in Newport Beach.